We are a thriving resource for the youth of West Louisville, providing a welcoming and educational environment for middle and high school students. St. George’s Scholar Institute, located at 1508 W. Kentucky St., was established in 1964 in conjunction with the reopening of the neighboring St. George’s Episcopal Church. We offer after-school and summer programs that are designed to prepare students for college, teach leadership skills, and explore different genres of careers. On a daily basis, we provide homework help, a Dare to Care Kids Café meal, and organized recreational activities. 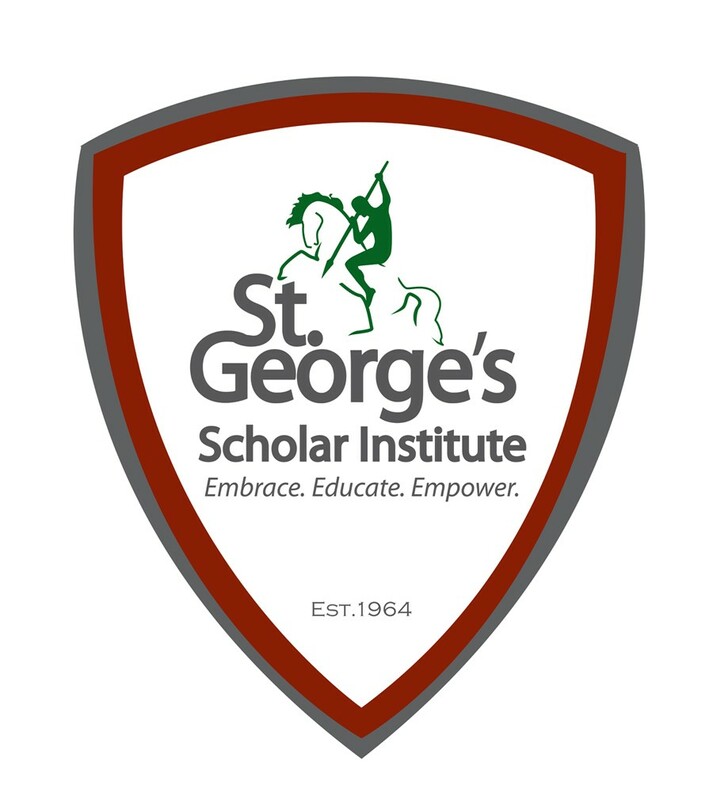 St. George’s Scholar Institute’s mission to Embrace, Educate and Empower youth in Louisville. We aspire to help build our community and its surrounding neighborhoods through our tireless efforts to become a full service community resource center. Through empowerment of our youth, partnerships with our resources and dedication to our mission we will offer wide spectrum of services. We will feed the hungry, educate the uneducated, nurture the youth and advocate healthy lifestyle for all. Kids Café serves over 10,000 young people meals each year. We house a Dare to Care emergency food pantry that serves over 4,000 families each year. Freedom School summer literacy program (now Reading Rockets) has twice been ranked as a ‘Top 5’ site out of 153 sites around the country. Since the Fall 2013, youth enrollment in our Mirror, Mirror after school program has increased to an average of 40 youth per week. Reading Rockets and Freedom School summer programs have welcomed over 430 youth participants during summer months since its inception in 2007. Our Reading Rockets and Freedom School summer programs have provided neighborhood youth with over 3,200 books since 2007. Of participants surveyed, over 70% Reading Rockets participants in 2013 rated an 8 and above on a scale of 1-10 regarding how enjoyable reading is to them. 74% have been involved in community service projects.